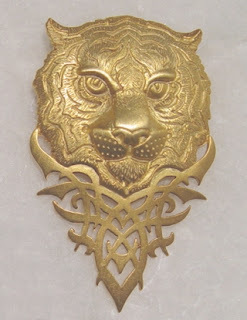 This detailed golden pin measures 2" high, 1" wide. 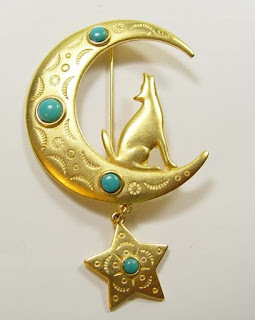 A golden wolf howls at a crescent shaped moon, with a golden star charm below. 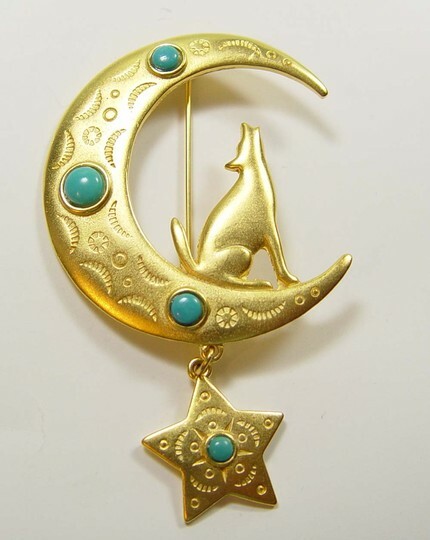 Studded with turquise colored stones and detailed with a Southwestern style pattern. 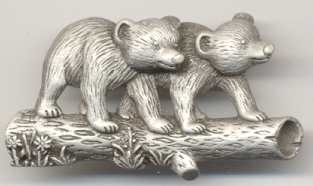 Measures 3 1/4" high and 2 inches wide. Signed JJ 1988, made in the USA. 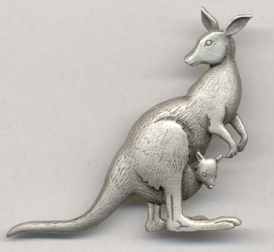 Pewter kangaroo with baby joey peeking from pouch. Measures 1 3/4" high, 1 7/8" wide.